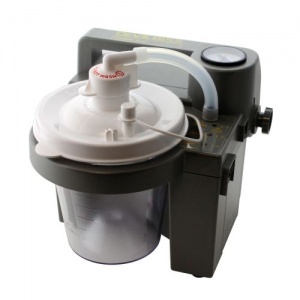 The DeVilbiss Vacuaide Portable Suction Machine Bacterial Filters (Pack of 6) have been designed to be used with the DeVilbiss Vacuaide 7305 P-U Portable Suction Machine. These DeVilbiss Bacterial Filters are white and are the new design. The manufacturer advises that the filters should be changed every 2 months for single patient use. If there has been an ingress of fluids the filter should be changed straight away. For multi-patient use the filters should be changed for each patient. Discounts are available for bulk orders. Please phone the Medical Supplies Customer Care Team on 020 7720 2266 for more information about bulk purchasing.